Patricia A. (Mayock) Chambrello, 87, of Plainville, passed away peacefully on November 14, 2018 at Touchpoints at Farmington. She is now reunited with her loving husband, Michael R. Chambrello, who predeceased her in 2014. Together they shared 61 loving years of marriage. Patricia was born September 27, 1931 in Hartford, daughter to the late John and Catherine (Tobin) Mayock. She married the love of her life, Michael, shortly upon his honorable discharge from the US Navy and they settled in Plainville. Here they raised their five children and acquired, renovated and expanded Pinnacle Rock Farm, creating a comfortable home for their children and grandchildren to enjoy. She took pride in watching her children and grandchildren grow and embark on their own life’s journey. Patricia was a proud homemaker and loved hosting gatherings in her home; whether it be a holiday, a party, or a Sunday supper, everyone was warmly welcomed to join. It was in her nature to care for others and bring them joy, as she visited with friends or family often times when they were sick, lonely, or needed companionship, with a hot bowl of chicken soup or a savory homemade cheesecake. Patricia was proud of her Irish heritage and was active in the Our Lady of Mercy Parish, particularly the Ladies Guild. She was a lovely lady who will be dearly missed by her family. She leaves her children, Patricia Rossignol and her husband, Donald, of Plainville, Suzanne Moffett and her husband, John, of Berlin, Michael and his wife, Denise, of Southington, Jeffrey and his wife, Laurie, of Marietta, GA, and Daniel, of Southington; her adored grandchildren, Scott Rossignol and his wife, Kati, Stacey Mahoney and her husband, James, Amy Rossignol, Jill Moffett, Colleen Mals and her husband, Gerald, Laura Siligato and her husband, Stephen, Michael Chambrello IV, Joseph and his wife, Cara, Rachele, Elaina, Kourtney and her husband, Justin Mangan, Amanda, Carly and her husband, David Prokupek, Coby, Allie, and Tyler Chambrello; and her great-grandchildren, who always brought a smile to her face, Caden and Ella Rossignol, Emma and Julia Mahoney, Lucy, John, and Holly Mals, and Quinn and Ellie Siligato. She leaves many nieces and nephews, and was predeceased by her six siblings. 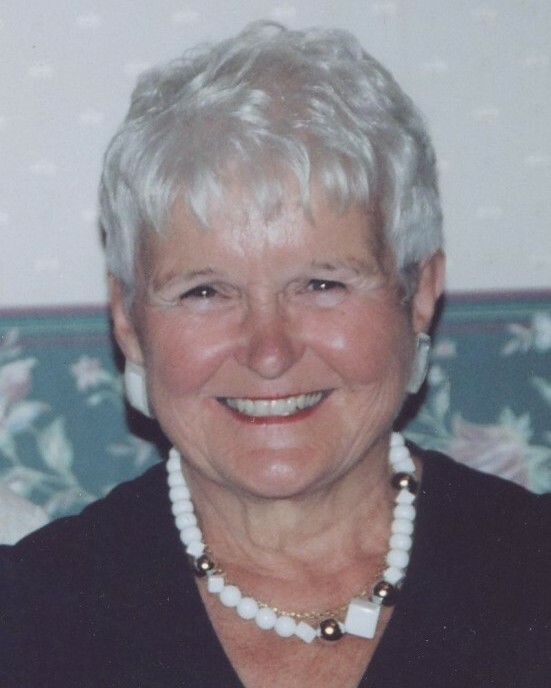 Funeral services in celebration of Patricia’s life will be held on Monday, November 19 from Bailey Funeral Home, 48 Broad St, Plainville, followed by a Mass of Christian Burial at 10 AM at Our Lady of Mercy Church, 94 Broad St, Plainville. Committal services will follow at St. Joseph Cemetery, Plainville. Family and friends may gather on Monday morning from 8:30 to 9:30 AM at the funeral home. In lieu of flowers, Patricia may be remembered with contributions to the Petit Family Foundation, PO Box 310, Plainville or the St. Jude’s Children’s Hospital, 501 St Jude Place Memphis, TN 38105.